Remember this cookie for later in this homily. For the better part of this past year, I have been trying to cope with a very difficult family situation which is ongoing. I wondered if in preparing for this I would be able to sense anything of value to offer through the quagmire of my own painful and confusing emotions. In prayer I came to believe that if I could not find Mary Magdalene in my life today then I have totally missed the boat on her unique gifts. I hope the boat didn’t sail without me. As with all religious figures, Mary Magdalene is cloaked in mystery and myth. Since we are focusing on the mysteries of God and the Miriam of Magdela I went to great oracle of the Miriam Webster Dictionary for insight. The word “Mystery” means ”the coexistence of divine knowing and that which cannot be fully understood”. Great. But continuing on, the synonyms are head scratcher, brainteaser, puzzle and my favorite one “stumper”. So here we are looking to glean great spiritual truth about a “stumper”. I think Mary Oliver, Edwina Gateley, Jamie Manson, Roy Bourgious, Matt Fox and Richard Rohr would love that idea. In our first reading from the Song of Songs we hear about a longing for lost love. It is not clear whether this is a metaphor for God’s fidelity to God’s people Israel or literally a woman longing for her beloved. In any case, the singer calls out for her love in the night and hears no response. She scours the city in deep fear and despair that her love is lost to her. In the end she finds him and we are happy for her joy. 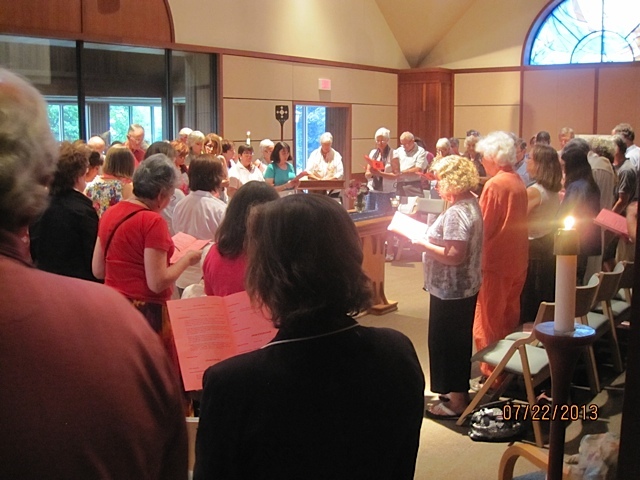 In Mary Magdalene we meet a woman dedicated to the man and message of Jesus. She was his benefactress and leader of the group of women that followed him along with the group of men led by Peter. She loved Jesus and he loved her. I have wondered what other emotions Mary had. I believe that she was proud of Jesus for proclaiming a new way of living solely to love God and to love others. A way of living in the spirit of the law rather than by the letter of the law. But with this must have come a dread of the future as the tide turned and the threats to his life increased. Was she tempted to tell him to “tone it down” so he could save his own life? Did she get mad at him for pushing forward toward an inevitable end? After all, which of us would want our beloved to march toward death? I wonder if she considered leaving because of fear for her own life? She certainly didn’t make any decisions based on the idea that he would die but be back in a few days. What did she feel toward those who called for the release of Barabbas instead of her beloved. Did she feel betrayal, rage, or even some kind of compassion toward them and his Roman executioners? The passion story talks about the women weeping at the foot of the cross. I can’t relate to “weeping” at a time like that. I would expect them to be wailing in an agony that could only mirror his own. The kind of “coughing up a lung“ sobbing that leaves us breathless not unlike his inability to catch his own breath as he hung there on the cross. Mary Magdalene stood by him in the joyful times and then she stood firmly with him, as women often do, when the others fled. There was nothing else she could do for him but love him and wail in pain with him. And then he died and his pain ended. But not so for Mary Magdalene. She was human and I believe that she did not get to skip her emotional responses to anything. If she did get to bypass them we can learn very little from her. She helped to lay her beloved in a tomb and then went off to be in her own emotional tomb. Like Mary Magdalene, our lives sometimes bring us to a place where our hopes and dreams of how the future will be vanish in an instant. It is at those times when we can remember Mary who watched her beloved, her Jesus, her joy and hope for the future, die. We know the gospel account that on the third day after his mortal death, Mary went to the tomb only to find it to be empty. There Mary encountered the risen Jesus. He instructed her not to cling to him to the man that she so desperately missed and longed for. The human Jesus. Rather he commissioned her, HIS beloved, to be the first to tell of the resurrection and spread the message of the gospel with a renewed and expanded vigor and understanding. He knew he could trust her with this task. Spiritually, this marks the moment of transformation for Mary into Sophia Wisdom. The gnostics called this a spiritual marriage of the masculine and feminine aspects of God. Wisdom never comes quickly, without trials or without personal effort and cooperation with grace. Sophia Wisdom is not mere mortal wisdom but it’s the eternal Wisdom of God. In the Gospel of Mary, Peter and Andrew were quite jealous, petty and mean to her. Much of the time in the early church was spent with infighting, petty jealousy, power grabbing, claiming ownership of the truth of the gospel, feeding bloated egos and trying to backtrack on Jesus’ trust in women. Does that sound vaguely familiar to anyone? But our Mary Sophia Wisdom didn’t ask for or wait for permission to be who she was. 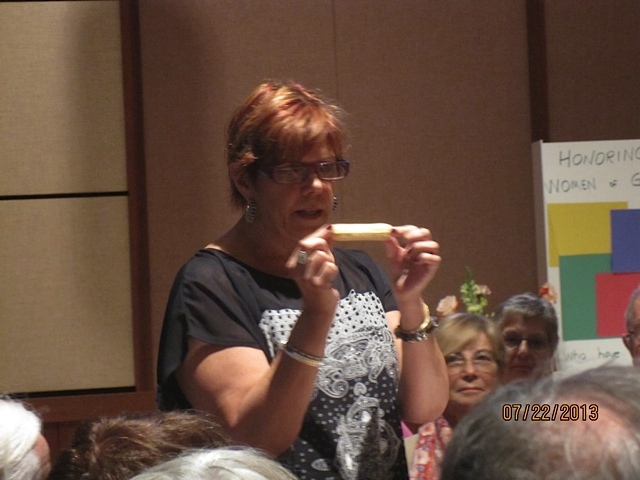 She simply went forth and did what she felt called to do in Christ. I would like to acknowledge the example of Deacon Mary Theresa Streck as she follows the example of Mary Magdalene in our own day and time. Thank-you Mary Theresa. My friend Laurel who is a talented artist gave me this photograph. The minute I saw it I said “That is desolation and consolation.” It is the story of Mary Magdalene. One door is dark and closed. It is the tomb blocked by the boulder. During these nights we feel so lost and empty. As Christians we understand that our hope is that the stone will be rolled away, dawn will come and there will be joy in the morning. Like Mary Magdalene our strength is found in binding ourselves to Christ, to Mystery. Still that space between tomb and empty tomb, is the period of great and sometimes paralyzing unknowing that we all face. That space is not separate from the process, it is a step that we must not try to skip. Mary Magdalene knew that the “holy waiting” is where we find the grace to “hear” what God calls us to know. It is the incubator for our new (re)birth into Christ’s Mystery. I know that I struggle with allowing people to be with me when I am having these kinds of experiences. 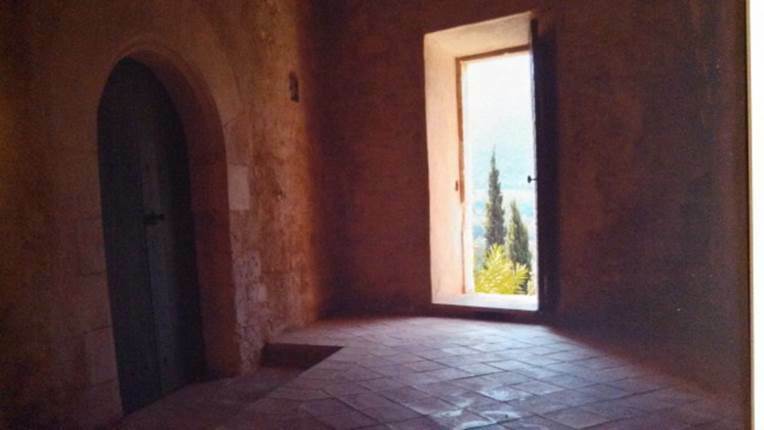 When I am sitting in that place of paralyzing unknowing between the 2 doors, I most often push my necessary pain into unnecessary suffering by choosing isolation and loneliness instead of the company and loving presence of those people who would so willingly sit there with me and wait. A hard habit to break but I’m working on it. My friends would be so happy because it frustrates them to no end when I withdraw and say “I’m ok” when I most clearly am not ok, when I tell them all the reasons I think isolation is a good strategy for growth, and when I constantly apologize for taking their time to talk with me about my deepest struggles. It is believed that Mary Magdalene and others went to Provence in France to live out her life. An interesting aside is that I remembered just yesterday that this photograph was taken while Laurel was studying photography in Provence France. The madeleine cookie which is associated with her is French for Magdalene. Remember the cookie I showed you earlier? That is my version of a madeleine cookie. In reality it’s really a Stella Doro cookie. Some of you know Nancy O’Connor. I can almost hear her now “I don’t want to be mean or anything but if people can think that little white host is bread, they can believe that the Stella Doro cookie is a madeleine.” So, I went with it. Mary may have spent the last 30 years of her life preaching and also immersing herself in long retreats into solitude and prayer. A true mystic, she searched and found her beloved in that still small voice in a transformed life. In Mary we find a companion that says to us “hold on, do not run from any of it, allow the emptiness and empty yourself into it ’s possibilities.” “It is by letting go of our expectations and the grasping of our own egos that we allow a space for the Spirit to move.” We open ourselves to grace. I invite you to take a moment to close your eyes. Think about a situation in your own life when like Mary Magdalene you had to wait in that space between feeling lost and found, confusion and clarity, death and life, despair and hope, sorrow and joy. This is where we encounter our Mary Magdalene, Sophia Wisdom, a woman who never ran from life and in doing so found a life unimaginable in depth and meaning. We pray for her courage, her audacity, her steadfast love, her cooperation with grace and her unwavering commitment to following her God of Mystery wherever the path would lead. We pray for this for all of our brothers and sisters gathered here tonight. 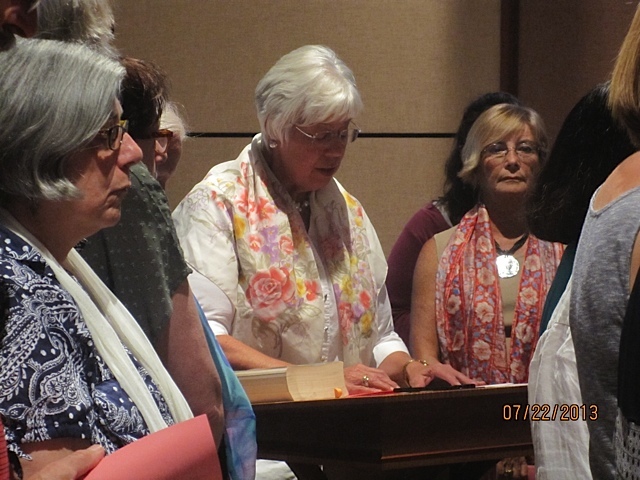 A heartfelt thanks to all who came out to celebrate the role of Women in the Catholic Church at our Mary Magdalene Celebration Monday July 22 in Albany. With 90 people in attendance the celebration committee planned a beautiful liturgy with accompanying music to lift everyone’s spirits. Our table of remembrance was filled with both the names of those women who have inspired attendees and significant items, photos, original sculpture, etc., to focus our thoughts. Our Homilist, Kim Panaro. More about the cookie tomorrow. The altar set with sound, fire, wild flowers and water. 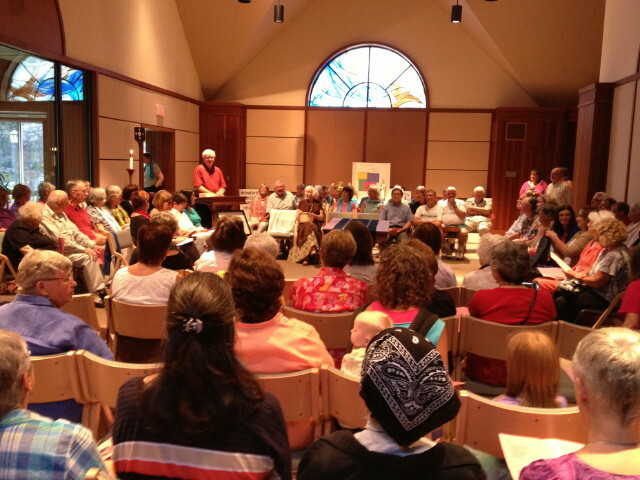 More than 500 people turned out to a Unitarian-Universalist church in Dedham on Wednesday to hear the Rev. 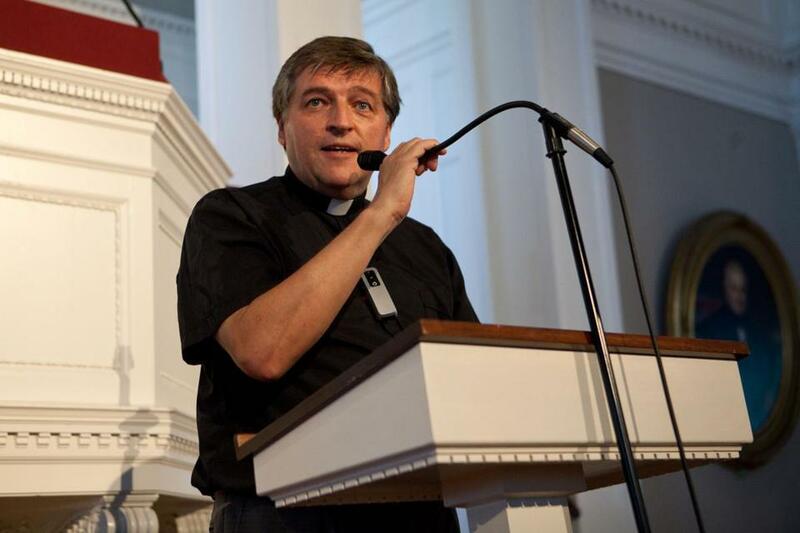 Helmut Schuller, a Catholic priest banned from speaking at a Boston-area parish. An Austrian priest who advocates ordination of women and married men, a position that led Boston church leaders to bar him from speaking at a local parish, said Wednesday that plans like the one Cardinal Sean P. O’Malley has put forward to group parishes and priests into clusters weaken the church rather than strengthen it. The Rev. 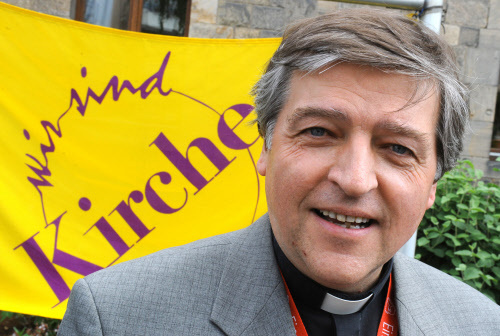 Helmut Schuller, who has long been concerned about how power is concentrated at the top echelons of the church hierarchy, is organizing a major priests’ movement in Austria that grew out of priests’ opposition to parish closings and restructuring plans that require clergy to minister to multiple churches. He argues that expanding the priesthood is a better answer than clustering plans that spread priests too thin, undermining their relationships with parishioners. Terrence C. Donilon, a spokesman for the Archdiocese of Boston, said Schuller did not appear to understand the archdiocese’s approach to clustering parishes. He said the whole point of the plan, which he said has broad support, is to help priests have the time and support they need to focus on strengthening parishes. Vibrant parishes, as O’Malley sees it, are the key to bringing more Catholics back to church, which in turn will bring more young men into the seminaries. 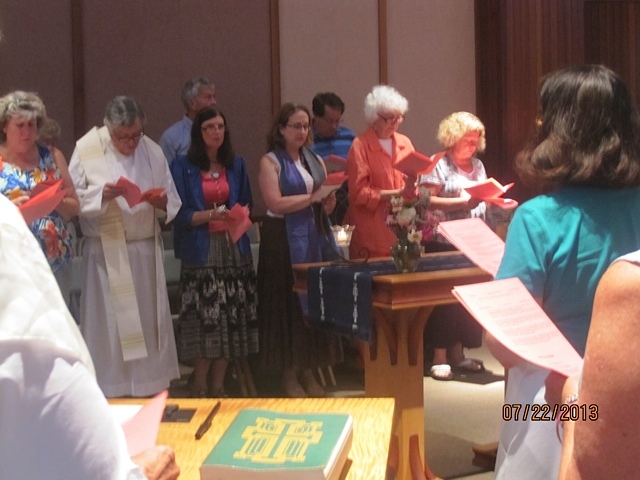 Schuller’s appearance was part of a 15-city tour of the United States sponsored by a coalition of 10 reform-minded American Catholic organizations, including Voice of the Faithful, based in Needham. He said he hoped the tour would help build an international network of reform-minded priests. He spoke at First Church and Parish instead of St. Susanna Parish, as originally planned. The archdiocese said in a statement last month that it does not allow individuals promoting positions contrary to Catholic teachings to speak at Catholic parishes or church events. Archbishop Charles J. Chaput of Philadelphia also barred Schuller from speaking in his archdiocese, lamenting that a small Catholic college providing space for the event has said it will not cancel the talk. 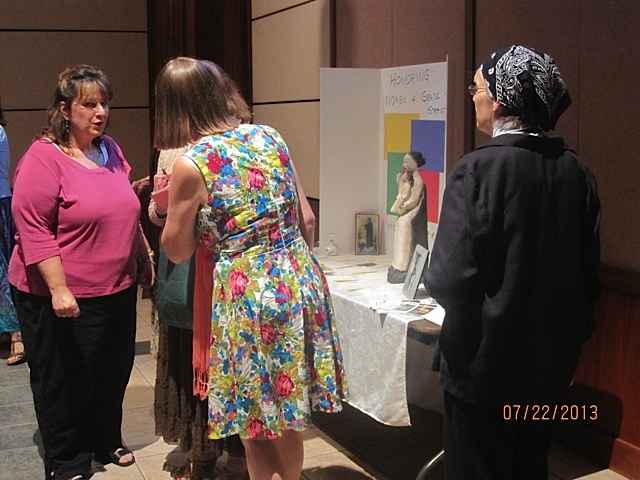 An event in Detroit was also moved from a Catholic parish to a school. Schuller said he did not understand why the bishops would not join the discussion, or at least allow it to go forward on church property. In the interview, he said 430 priests in Austria, about 15 percent of that country’s Catholic clerics, he said, have signed a “Call to Disobedience,” pledging to openly advocate for expanding the priesthood to women and married people and to publicly state their intention to break certain church rules that he says about 80 percent of priests already ignore without acknowledging it, such as distributing communion to people who are divorced and remarried. He says it is unhealthy for the church to operate according to one set of rules publicly and another privately. He said the priests see themselves as advocates for lay people who share the same views but who have been sidelined for years by the church hierarchy. The priests, he said, have come to realize that their strength lies in their numbers. “The bishops have become a little bit nervous,” he said. At the event Wednesday night, he urged those attending to consider themselves citizens of the church and said they should have rights as individual church members. Schuller has had firsthand experience with power in the Catholic Church. He ran Caritas Austria, that country’s major Catholic aid agency. He also served as vicar general of Vienna, the most important position under the archbishop, from 1995 to 1999, when he was abruptly dismissed by Cardinal Christopher Schoenborn. He has experience as a parish priest, as well. He remained one even when he was vicar general and still serves the same parish, outside Vienna. He said he did not fear being excommunicated because the “Call to Disobedience” does not defy the church on “the substance of the faith.” He said that his group will not try to ordain women. Schuller shrugged off the Vatican’s decision to strip him of his “monsignor” title last December: “It’s not the tragedy of my life,” he said.